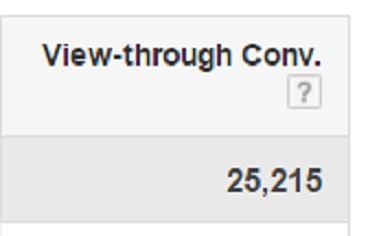 In Google Ads there is a metric called ‘view-through conversion’ which is used to measure the performance of your Google Display network ads. View-through conversion happens when a user completes a conversion on your website within 30 days, after viewing (but not clicking) one of your display network ad. #1 a user saw one of your display network ad but did not click it. #2 the user returned to your website directly or via organic search or referral and completed a conversion on your website. #3 the user returned to your website within 30 days after viewing your display network ad. People do not always click on your display ads before completing a conversion. Many times they just see your ad before completing a conversion on your website. Without ad clicks data, it becomes very difficult to understand the performance of a display ad campaign. Here view-through conversions come to your rescue and help you in understanding the performance of your display ads just on the basis of ad impression data. With the help of view through conversions data, you can determine the websites which are most effective in generating conversions via display ads and target them separately in order to maximize conversions. Note: View through conversions are reported only for display network ads and video ads on Youtube, and not for search network ads. #1 The user has only viewed but not clicked on your display network ad before completing a conversion on your website. #1 a user saw one of your display network ad and then clicked on it. #2 the user later completed a conversion on your website. #2 The user has not clicked on any other, of your display network ad and/or any of your search network ad after viewing your display ad and before completing a conversion on your website. #1 a user saw one of your display network ad. #2 the user later saw another, one of your display network ad and clicked on it. #3 the user completed a conversion on your website. #2 the user later saw one of your search network ad and clicked on it. #3 The user has completed conversion on your website within 30 days after viewing your display network ads. #1 a user saw one of your display network ad but does not click it. #2 the user later completed a conversion on your website but after 30 days of viewing your display network ad. #4 The user does not return to your website via Google ads after viewing a display ad and before completing a conversion on your website. 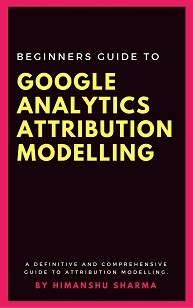 #2 the user returned to your website via Google Paid search ad or display network ad to complete a conversion. A view-through conversion becomes a click-through conversion when a user clicks on a display/search network ad after viewing a display ad and before completing a conversion on your website. #2 the user returned to your website directly or via organic search or referral and completed three conversion on your website.